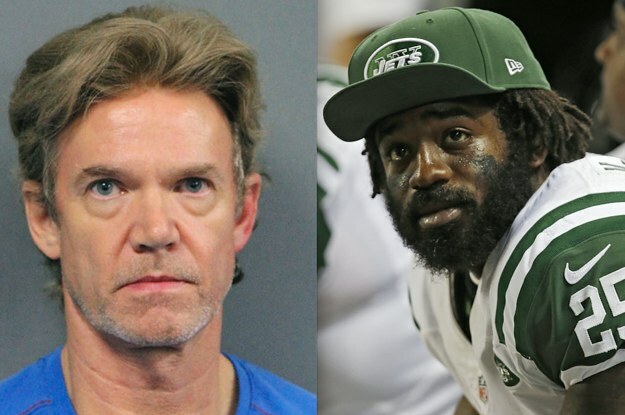 A man who shot and killed former NFL running back Joe McKnight during a traffic dispute was convicted Friday of manslaughter. Ronald Gasser was found guilty after a jury in Jefferson Parish, Louisiana, deliberated for more than seven hours, the Times-Picayune reported. The 56-year-old man had admitted to shooting McKnight on Dec. 1, 2016, from the driver’s seat of his car and through the passenger side window of McKnight’s car. The shooting sparked protests in Jefferson Parish after deputies decided to release and not immediately charge Gasser, who had admitted to shooting McKnight and turned his firearm over to authorities. Jefferson Parish then-sheriff Newell Norman said at the time that “relative statutes” and “forward-leaning laws” that favored people standing their ground allowed authorities to not immediately charge Gasser. Five days after the shooting, authorities announced they had arrested and charged Gasser with manslaughter. McKnight had been considered one of the best running backs in the country while playing at the University of Southern California in 2007. He later joined the NFL, playing for the Kansas City Chiefs and New York Jets, ending his NFL career in 2014. Authorities called the incident that led to the deadly shooting a “mutual road rage” chase, the Times-Picayune reported, with both drivers yelling at each other and giving each other the middle finger for five miles. Gasser claimed self-defense, saying McKnight had lunged at him, but investigators argued the lack of gunpowder residue on McKnight’s body suggested the former NFL player had not been as close to Gasser as he had claimed to law enforcement.